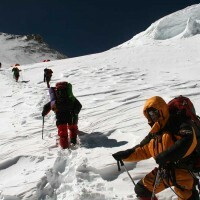 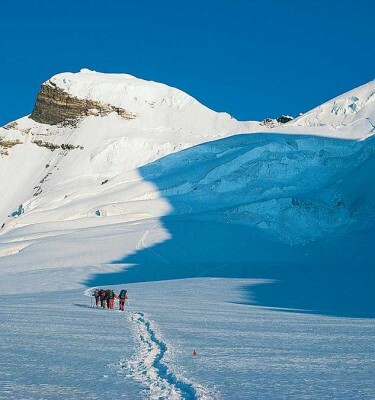 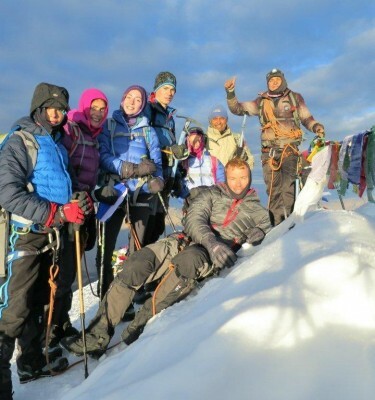 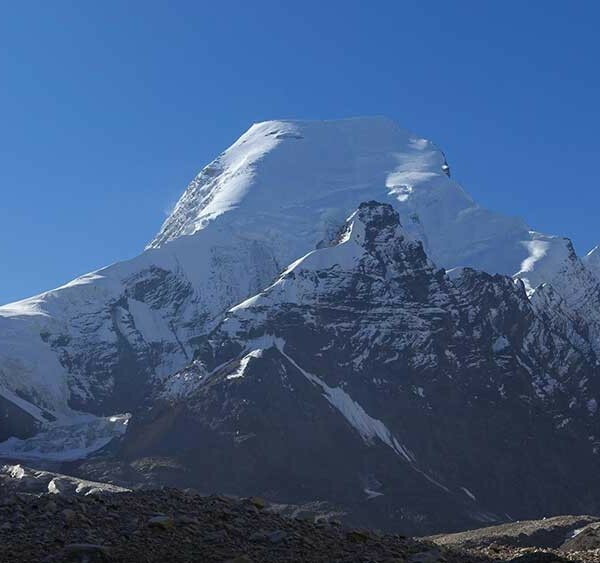 Our expedition to Satopanth combines the ascent of a magnificent, remote 7000m peak with a genuine cultural experience. 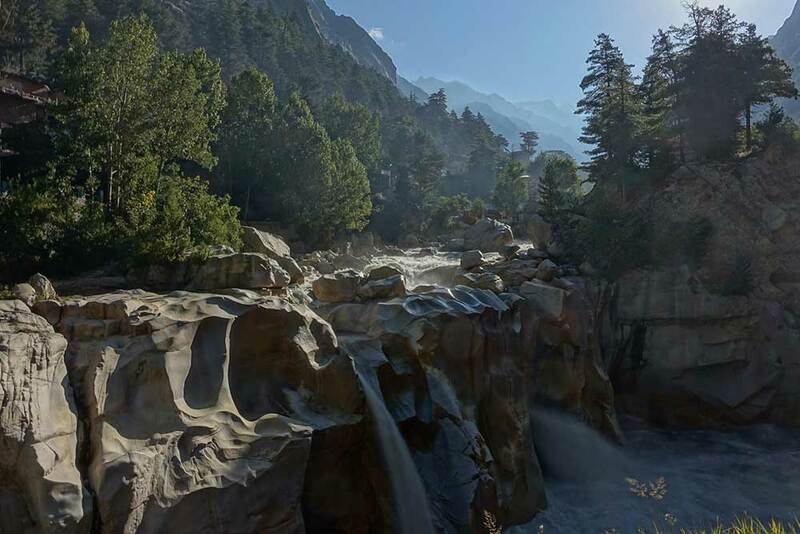 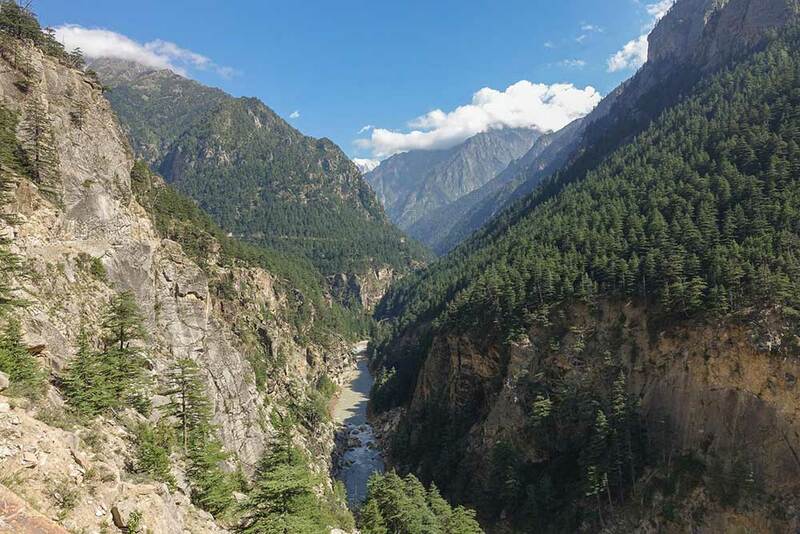 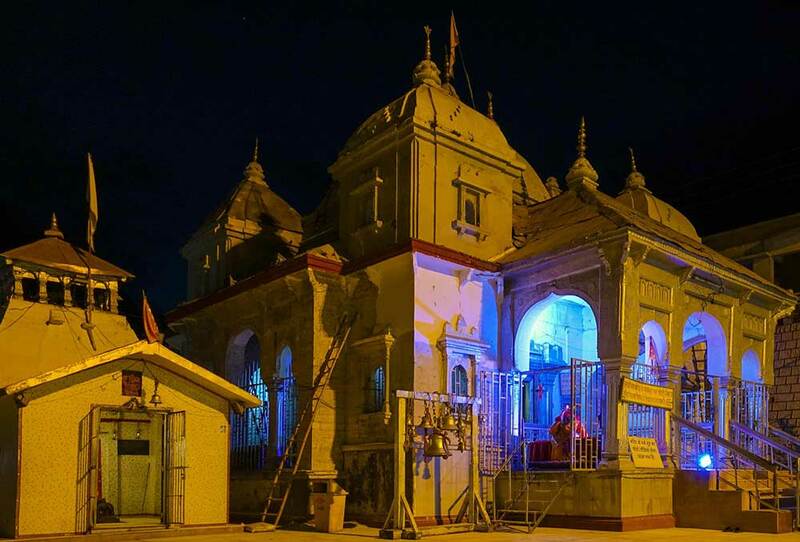 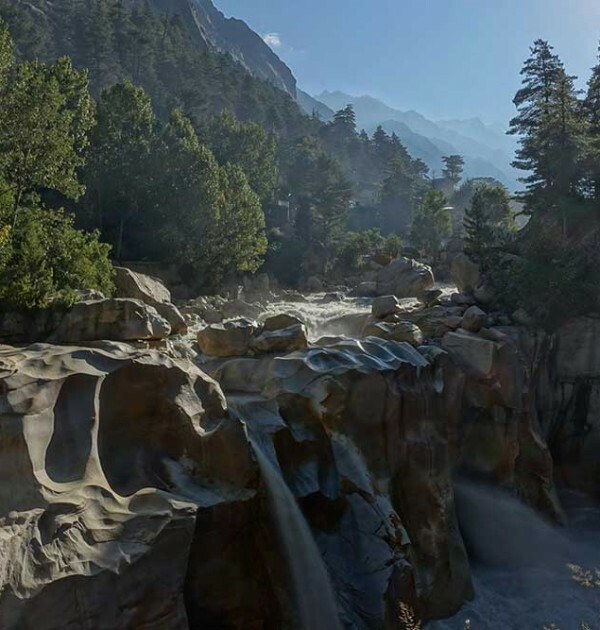 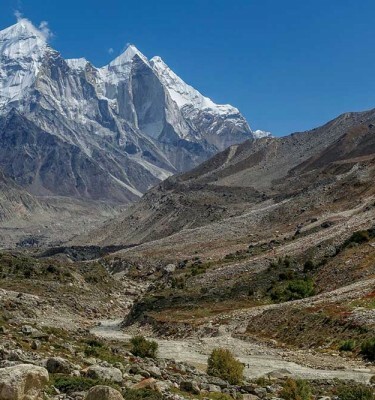 Satopanth is situated deep in the Indian Garhwal Himalaya – the home to India’s most spectacular peaks, on a par with, or even better than, the best the likes of Nepal has to offer. 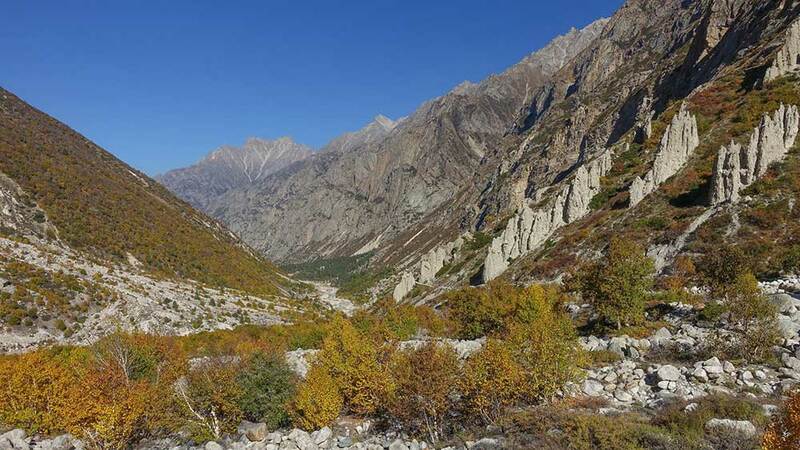 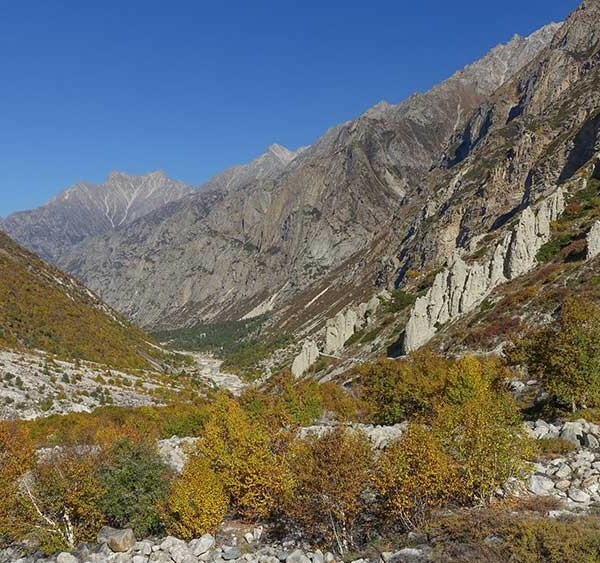 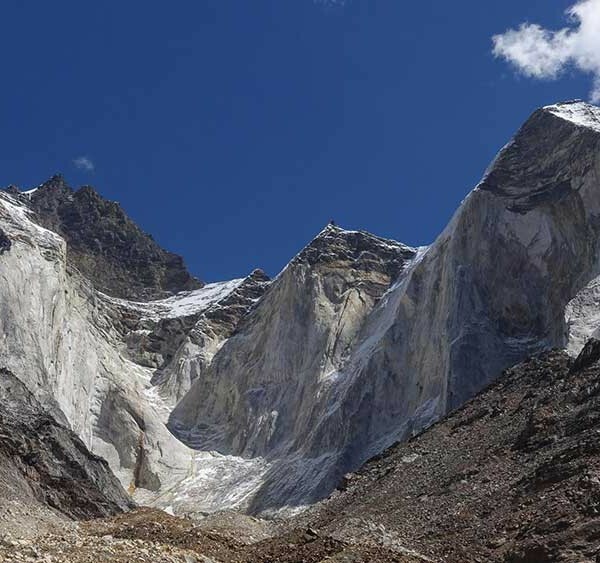 The approach to Mount Satopanth is overland from Delhi, a ‘traditional’ journey rather than the whistle-stop helicopter approach used so often in other countries. 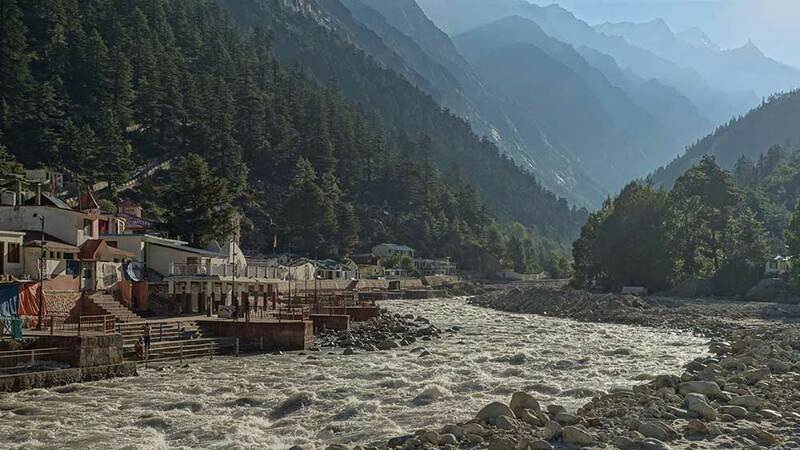 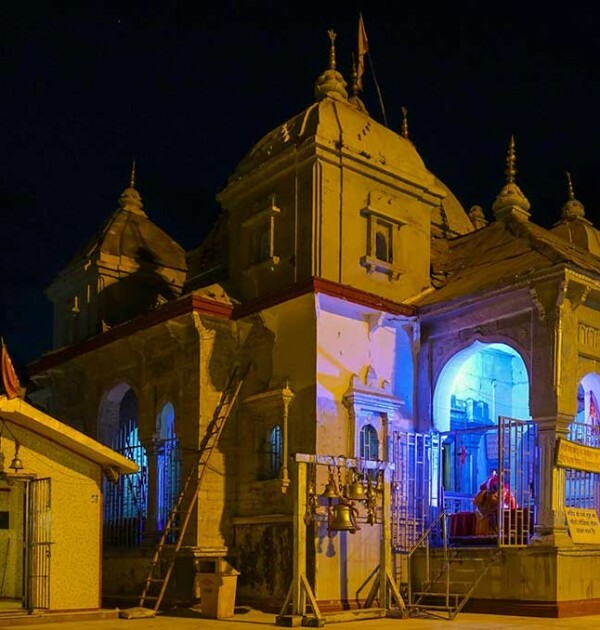 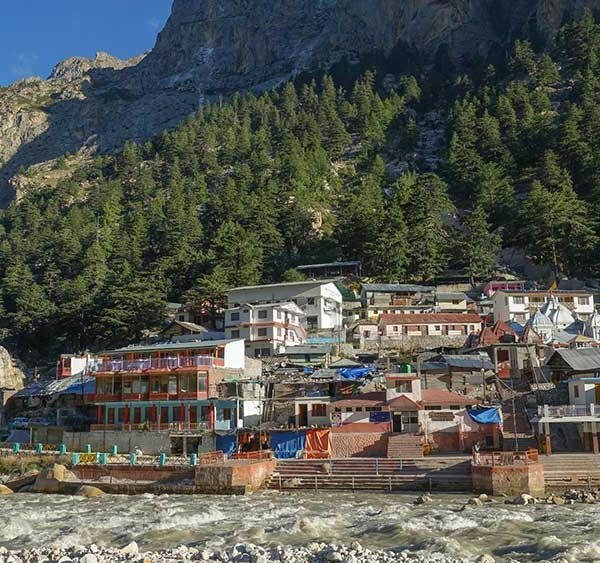 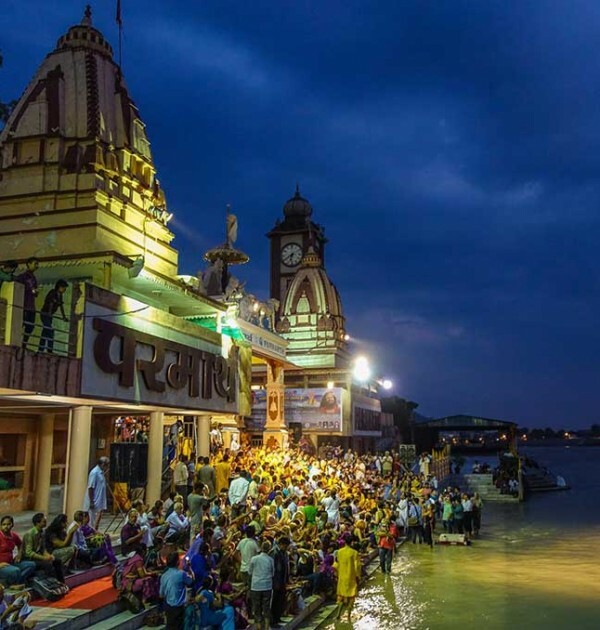 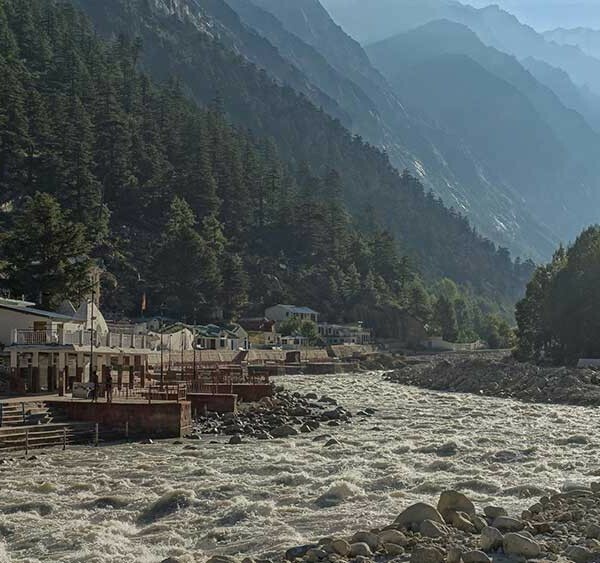 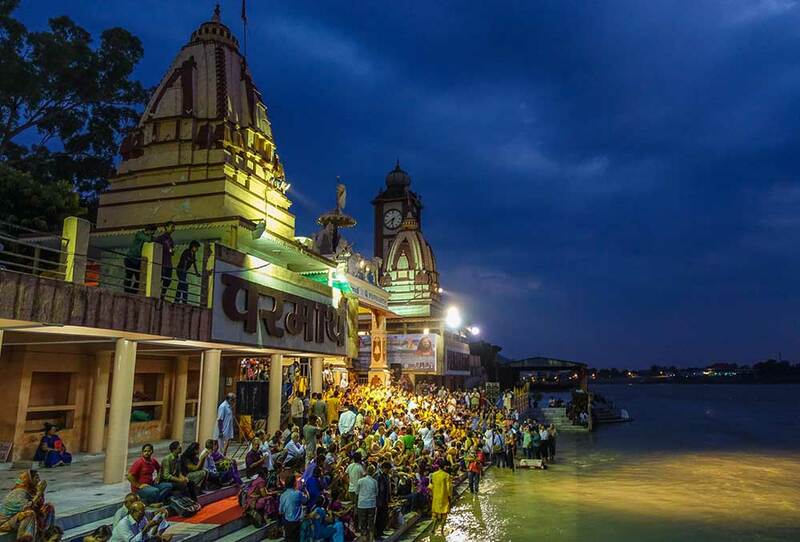 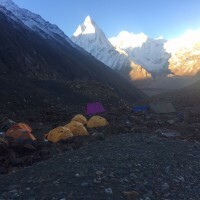 This approach is shared with pilgrims to one of India’s holiest sites, Gaumukh, the source of the Ganges which we pass on trek in to the mountain. 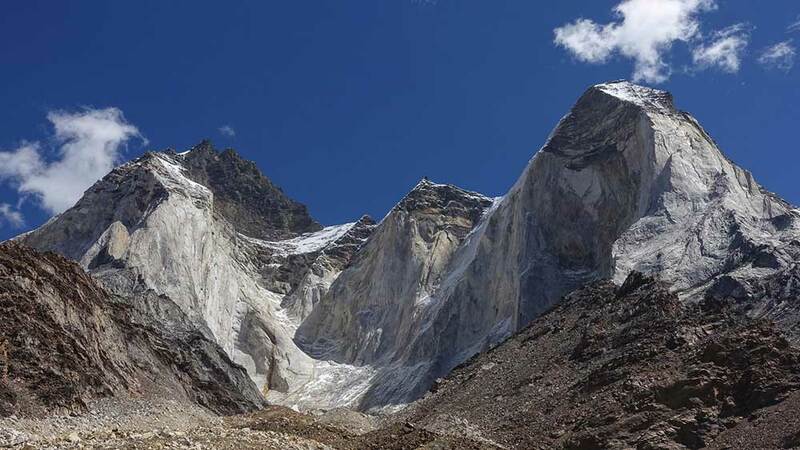 Above Gaumukh a long glacial approach leads up to the north east ridge of Satopanth, which is ascended via steep mixed climbing, broad and narrow ridges and an exposed traverse across a 50 degree ice slope. 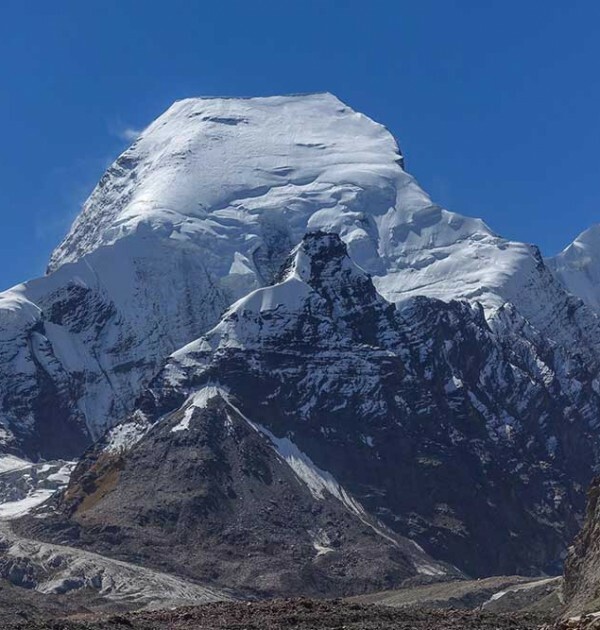 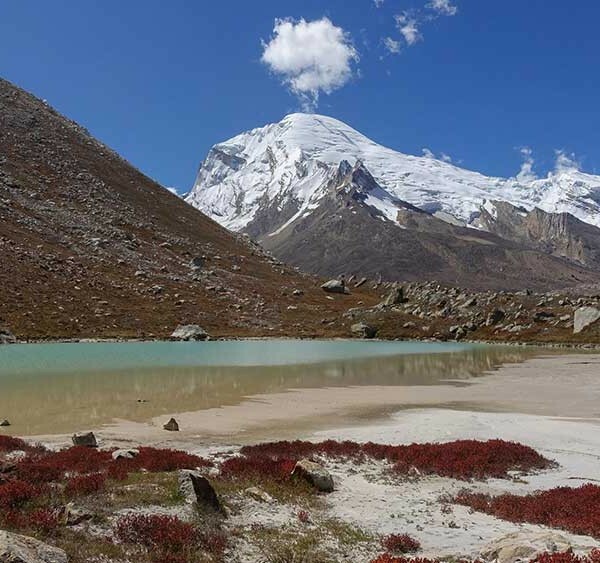 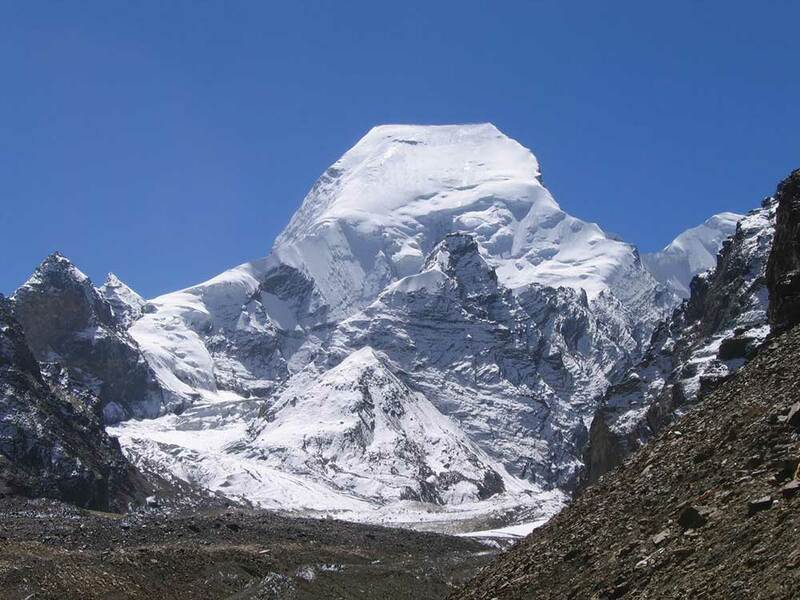 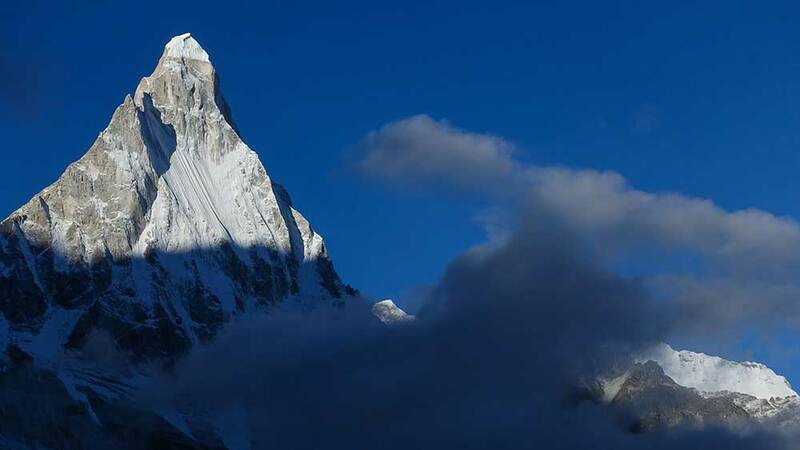 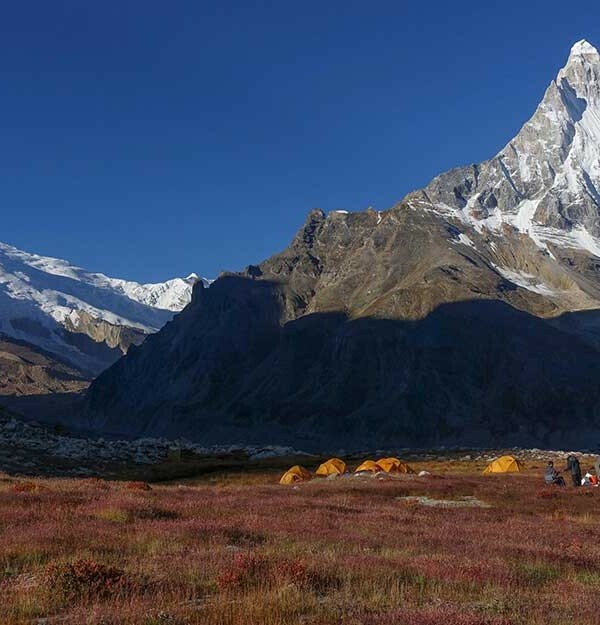 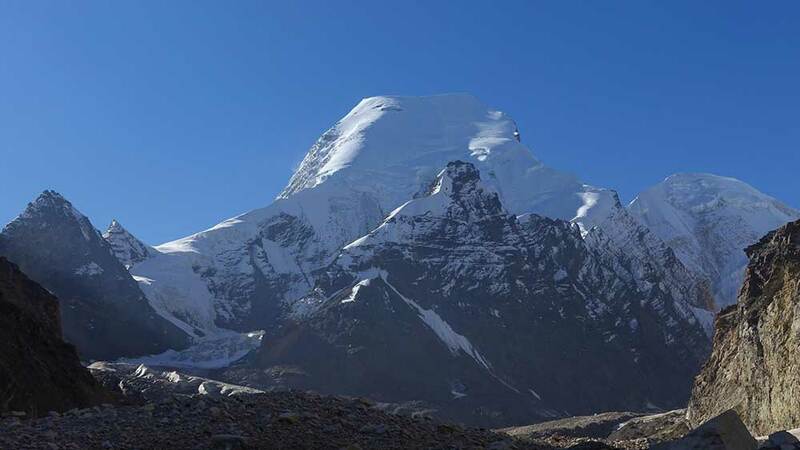 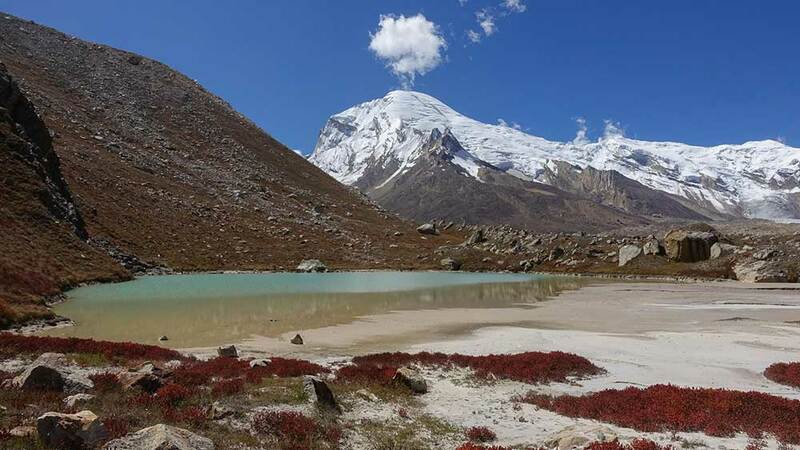 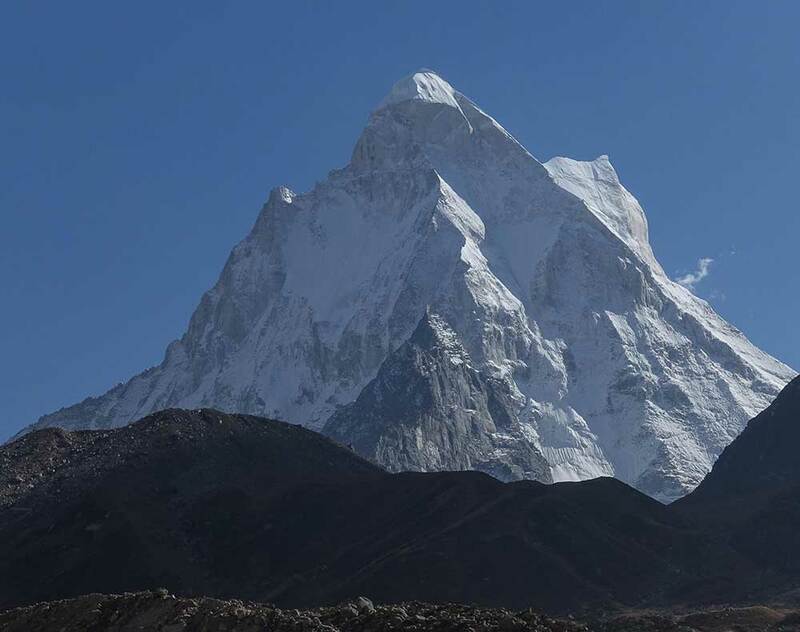 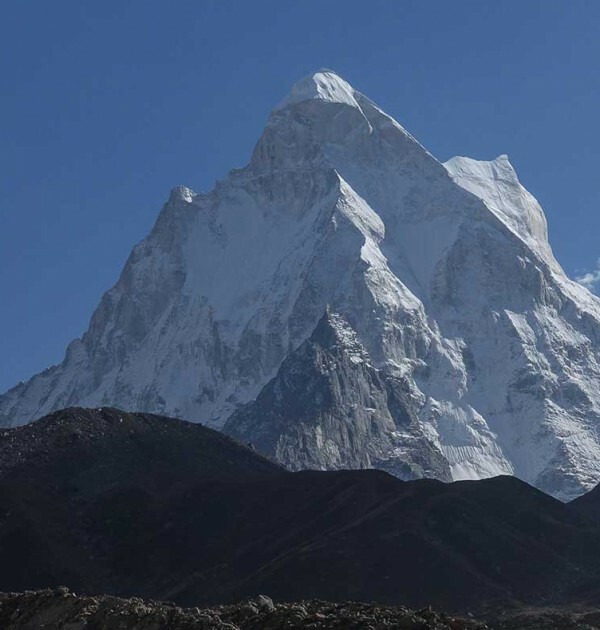 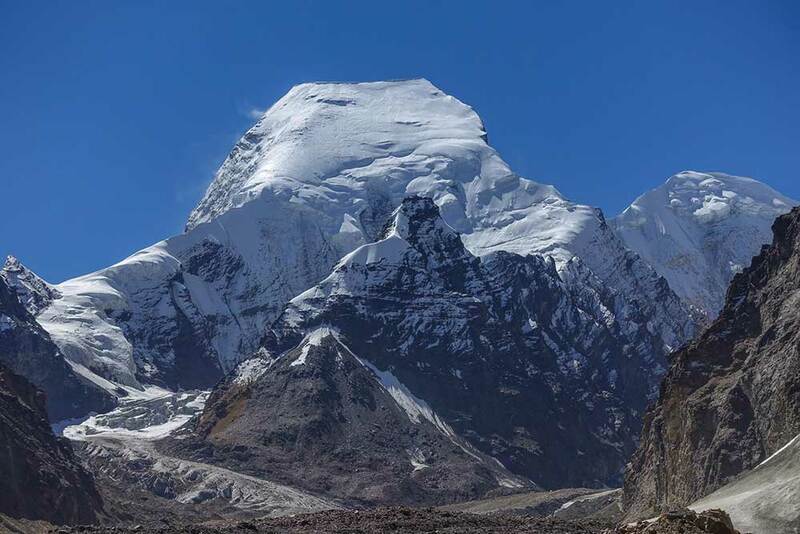 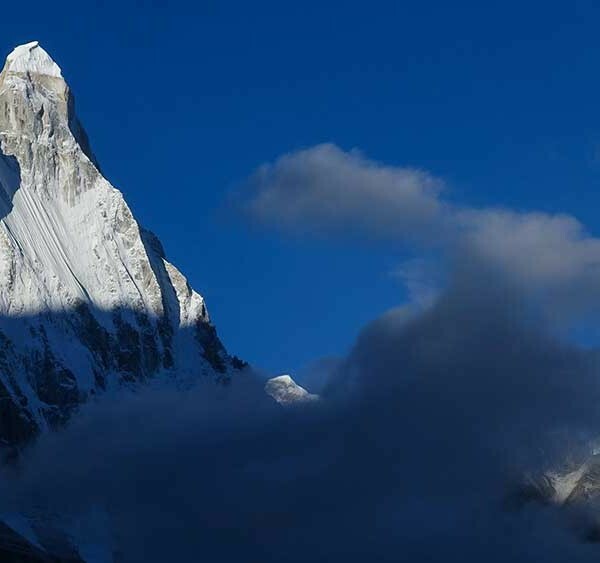 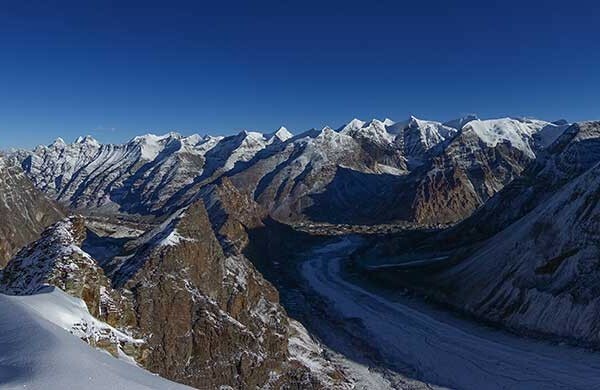 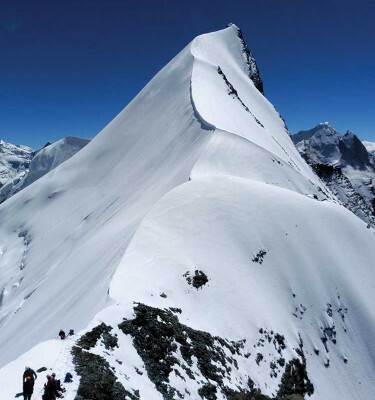 Usually we place three camps between base camp and the summit, from where you can feast your eyes on nearby Shivling and beyond to Nanda Devi, Kashmir and Tibet. 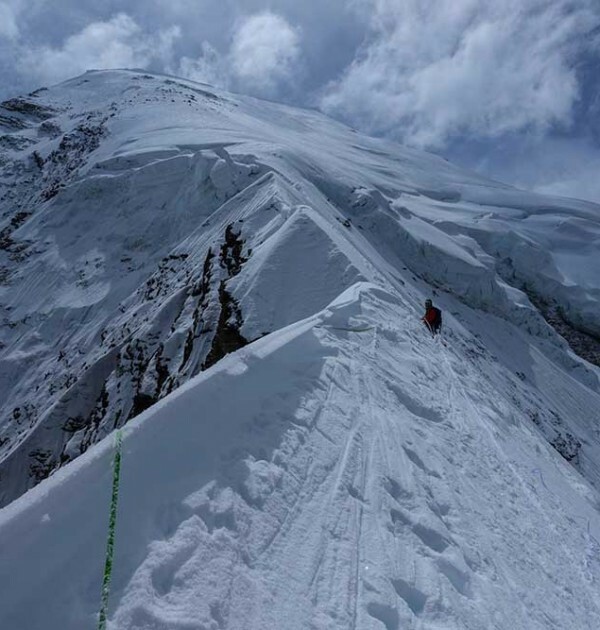 Please note, India operates a very formal system for climbing. 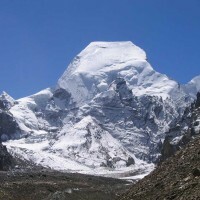 Satopanth has to be booked well in advance to guarantee a permit. 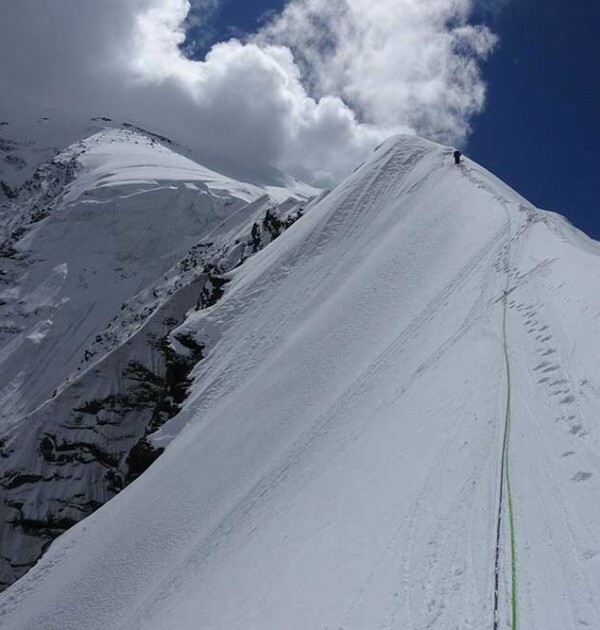 Adventure Peaks has it’s permit for 2019. 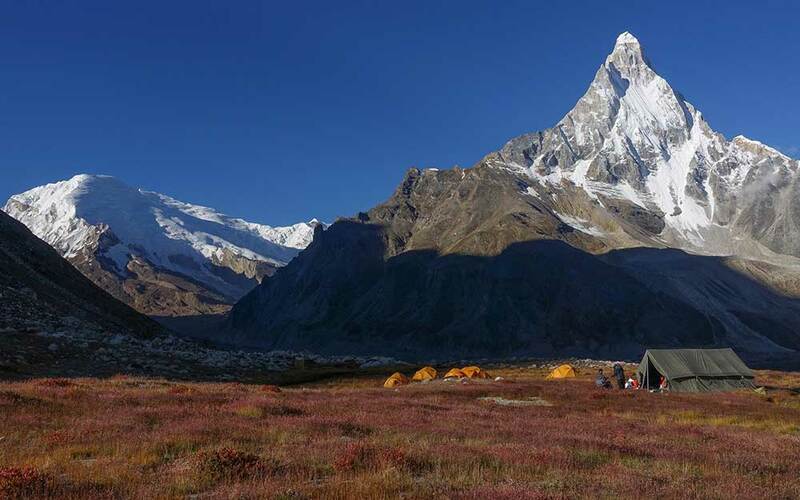 Satopanth Expedition September ’16 - 30th September Success on Satopanth. 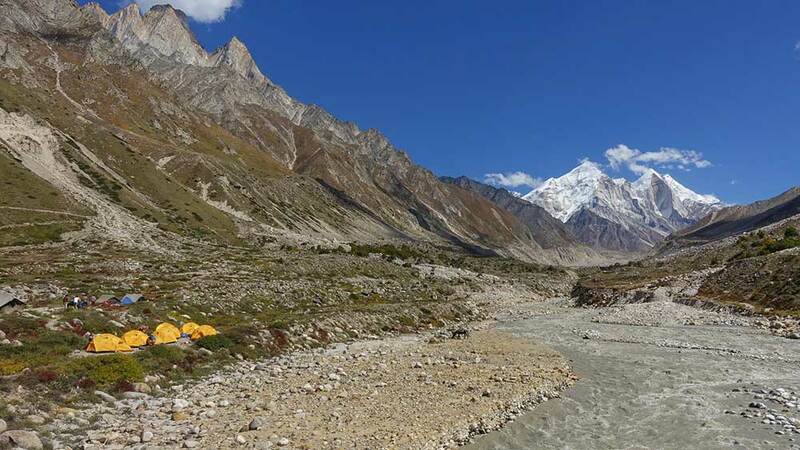 Satopanth Expedition September ’15 - 5th October - The team are now enjoying some rest and relaxation after a fantastic expedition. 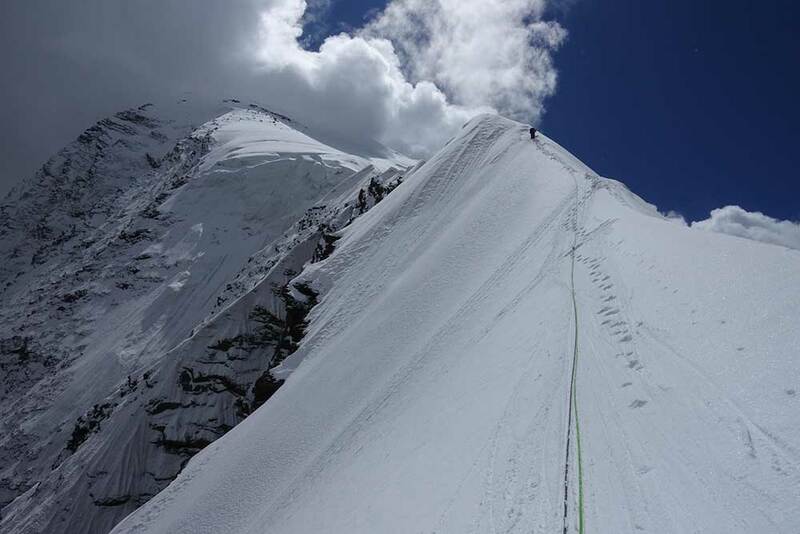 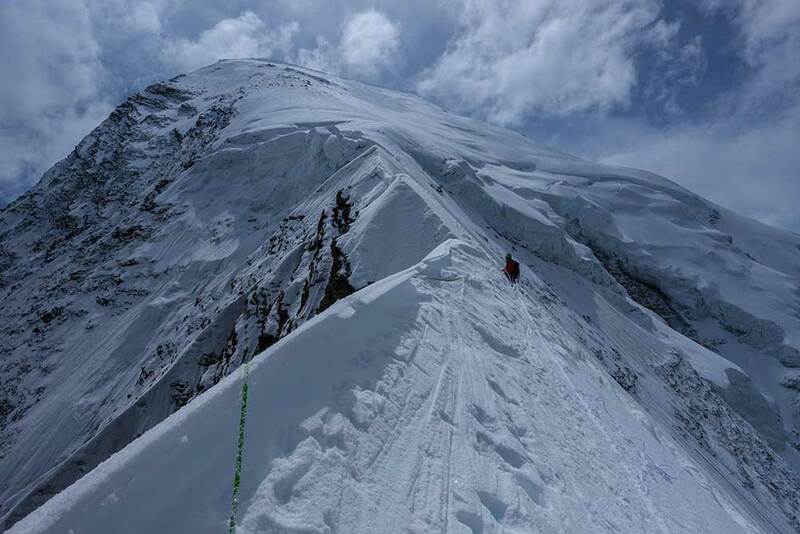 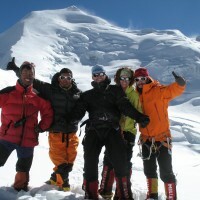 Jeff, Lee, James and Mike have all returned from the mountain having experienced truly awesome mountaineering challenges. 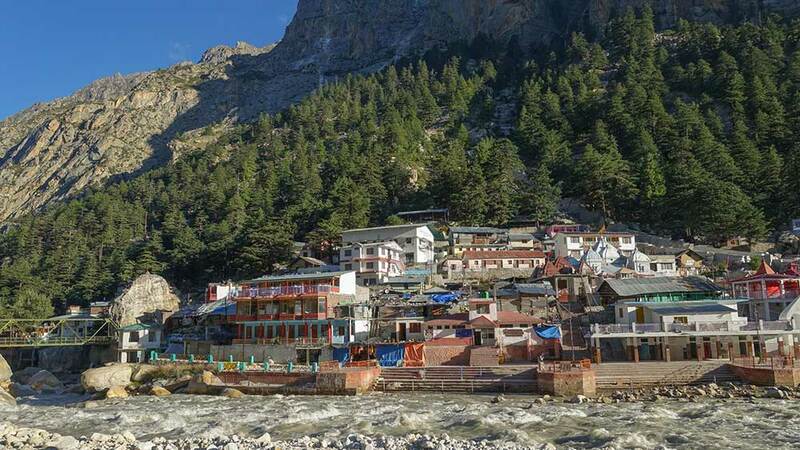 Mount Satopanth Expedition 2014 - 17th September: Arrived safely at Uttarkashi, lovely scenery with a sense of remoteness setting in. 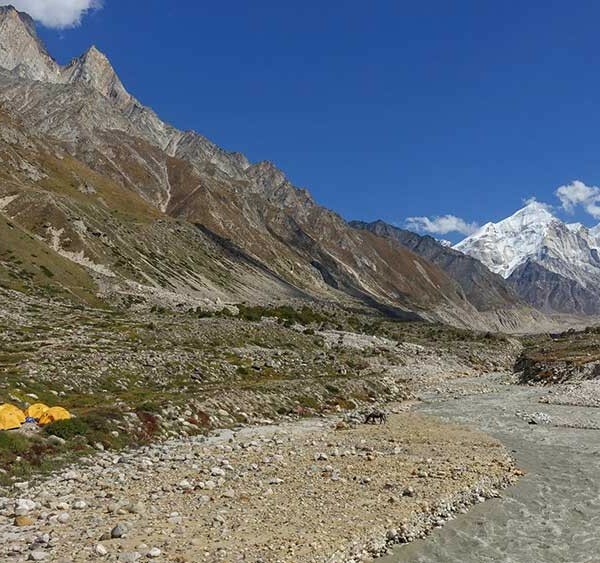 Road very exciting! 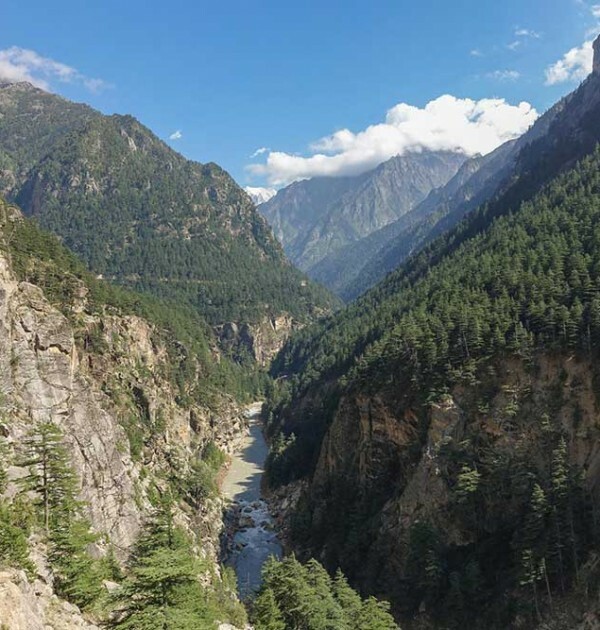 But we have an amazing driver.